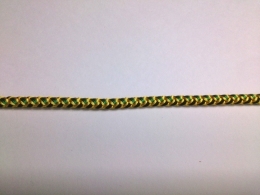 This braid is called "Mitsuyori-himo". This braid is not knitted with the same original method of kumihimo, but made with 3 sets of twisted knitting thread which makes softer and fluffier. 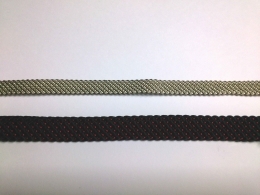 The "Futako" braid uses this same style, but consists of 2 sets of twisted knitting thread. 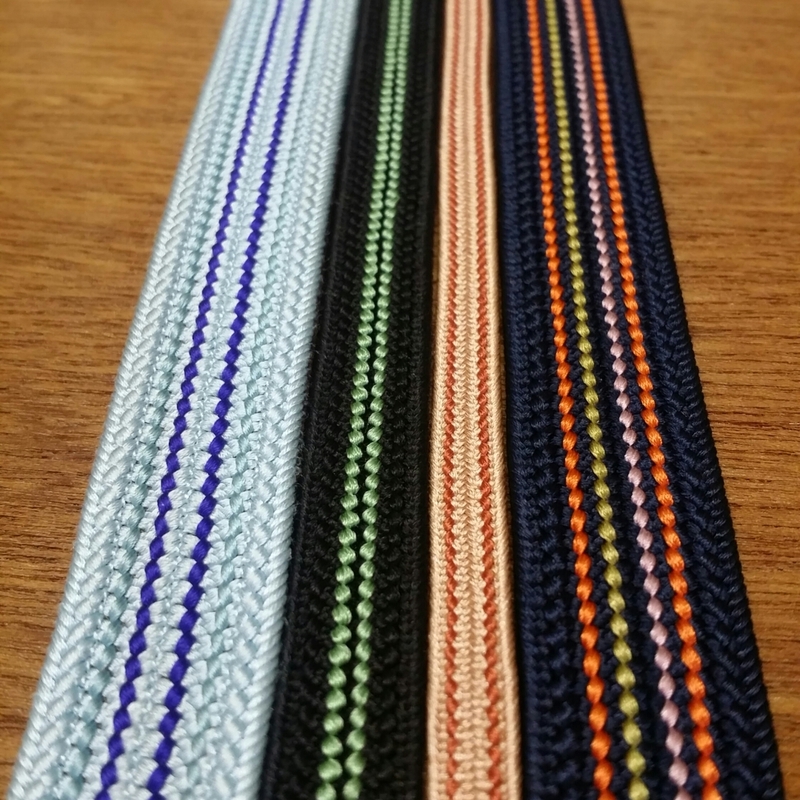 This braid is called a "Youkaku." 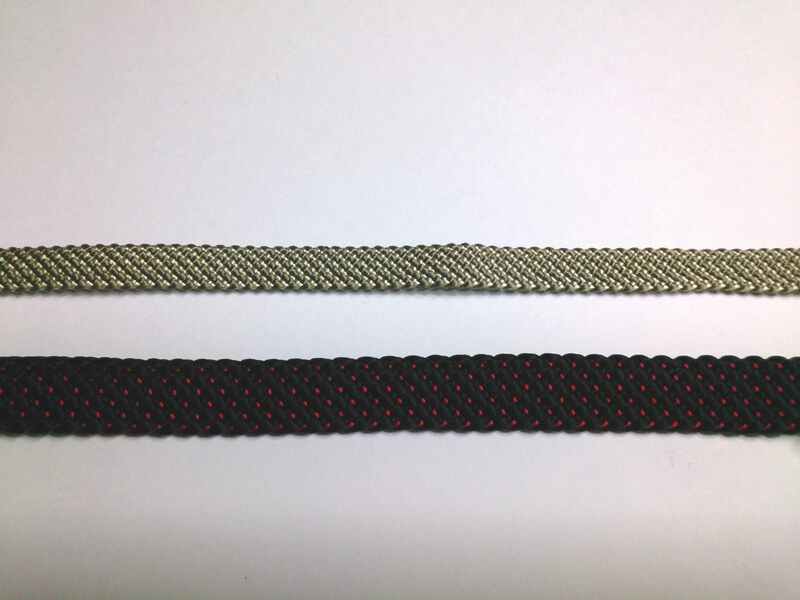 The structure is similar to "Edo-himo" braid and it is a little stronger. 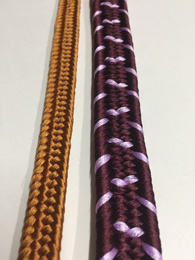 This tassel is called "Yori-fusa. 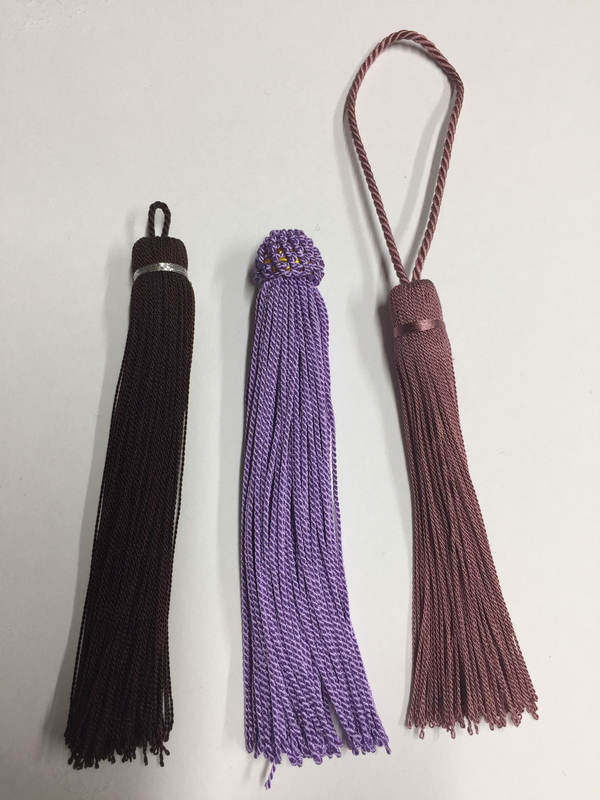 "ã€€The thread is originally used for prayer beads and this tassel is finished as a steady design. As opposed to the steadiness, it could become costly. 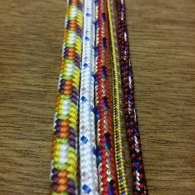 It is normally made with a silk thread. Minimum lot is 25 pieces. 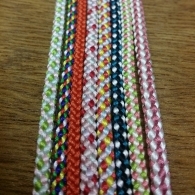 This braid is called "Chirimen-kumi." 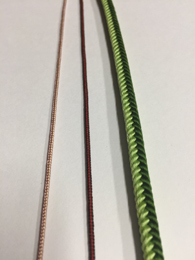 In the manufacturing process, as the amount of thread sets increases and decreases, the braid's surface will have a wavy, fluffy design. 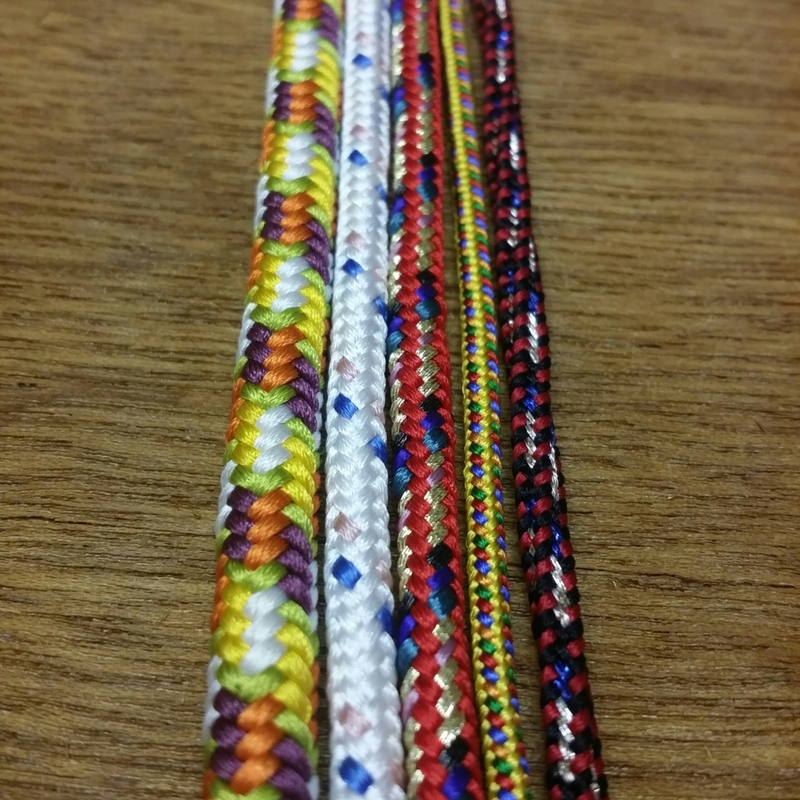 If the amount of thread sets are equally used, the braid will have a sharp, flat impression within the design. 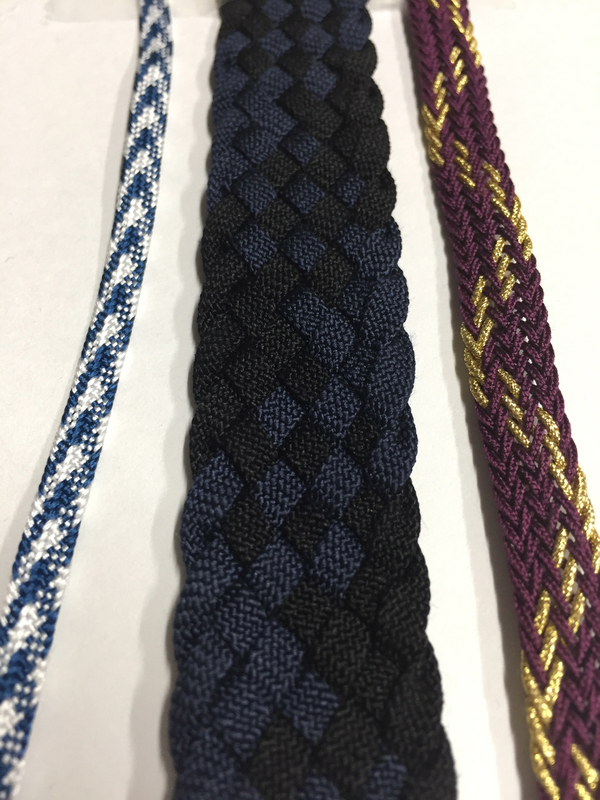 This braid is called "Jyusanuchi." 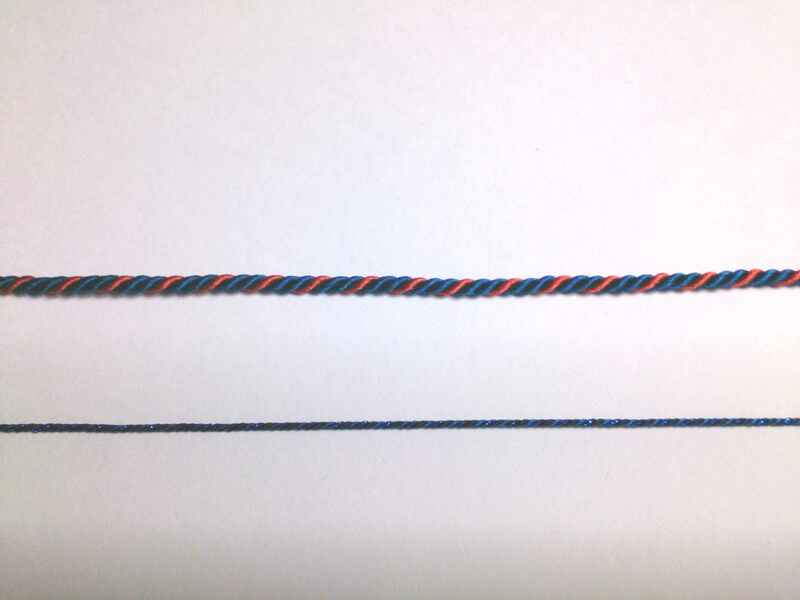 This braiding technique is rough to the touch, but that does not make it too thick. 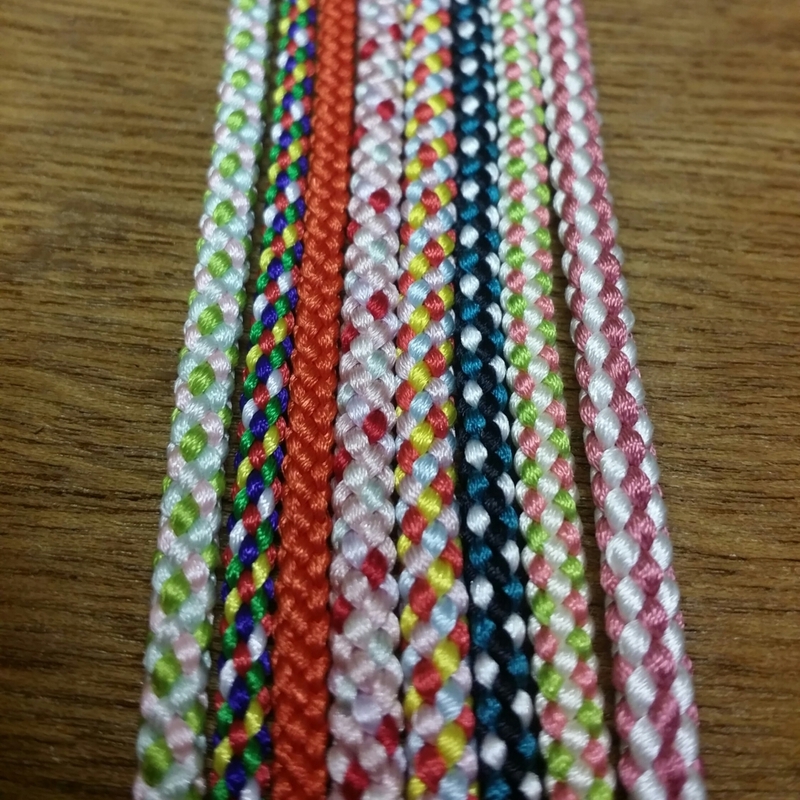 This braid is called "Hirakara." 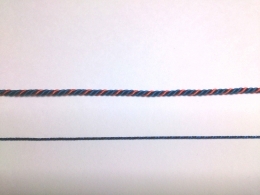 Because of thickness of this braid, the braid's cross section becomes rectangular in shape. 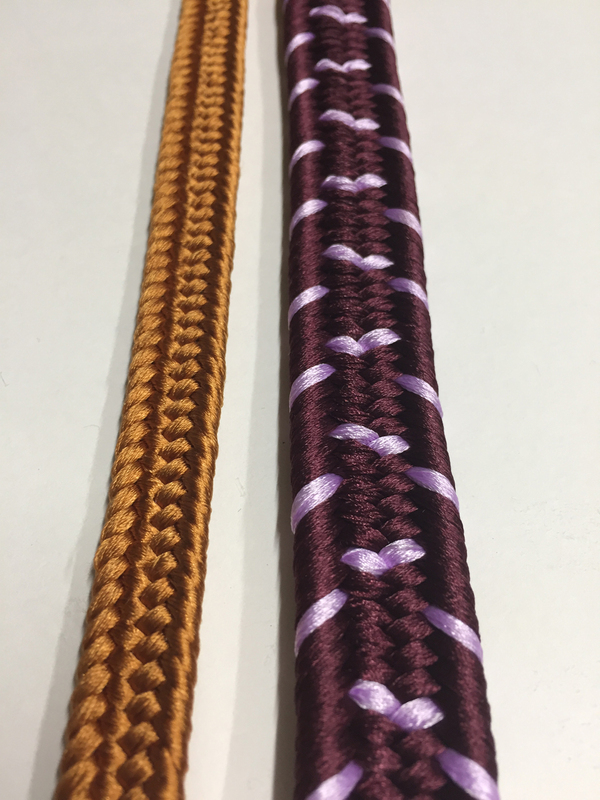 This braid is called "Yamatogumi." 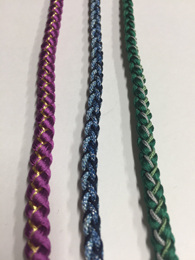 When creating this braid the silk threads are twisted very little in order to maintain the natural luster of the high quality silk. This braid is called "Shigeuchi." 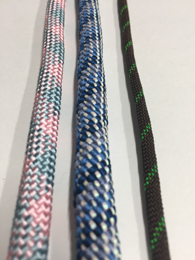 This braid is a bit thick and the design has a weathered exterior. 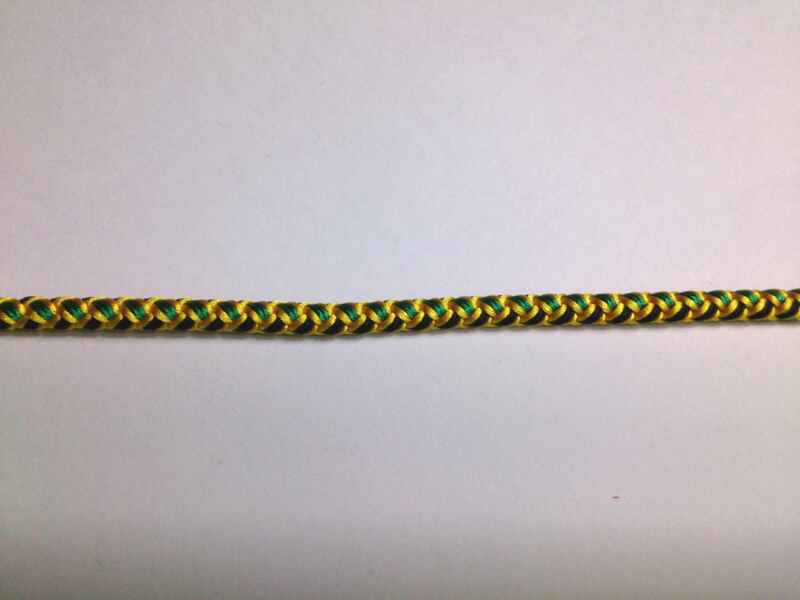 Originally this design was used as the cord to attach a Samurai's sheathed sword to their armor. 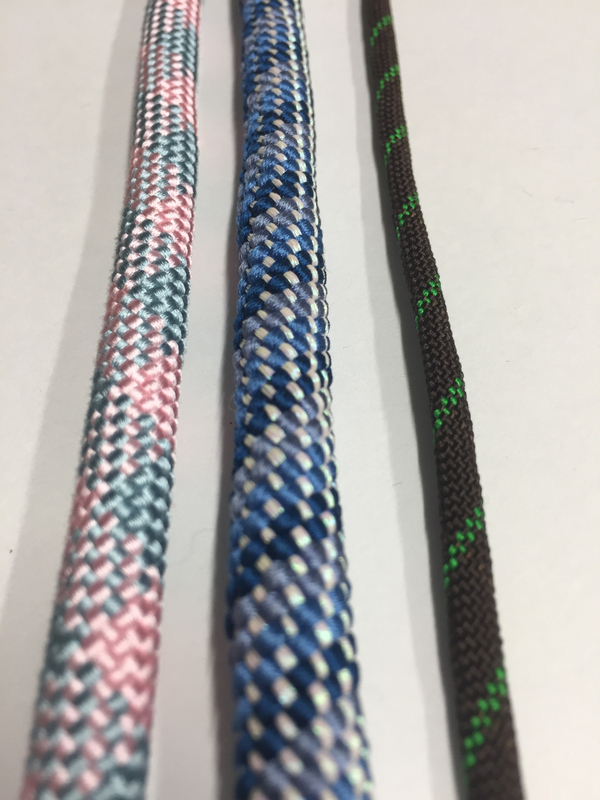 This braid is called "Ayakourai." 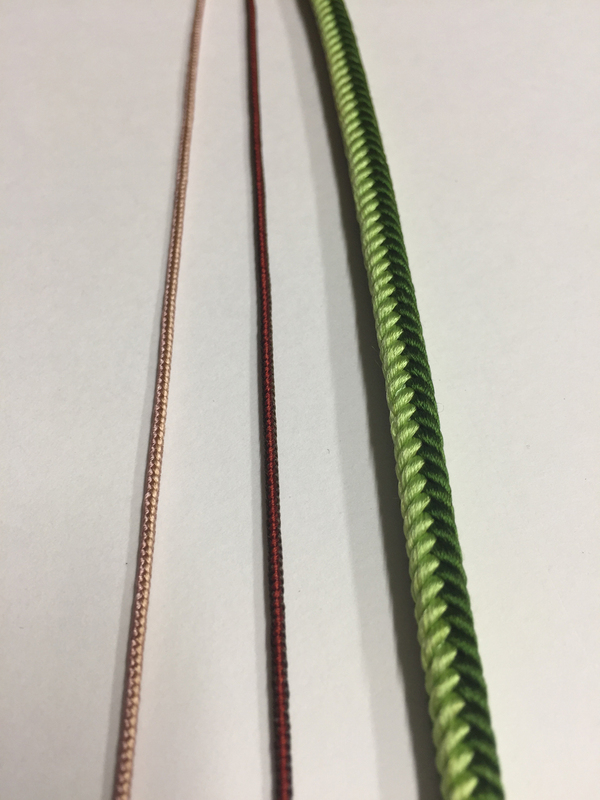 Amongst our company's machine-made, flat-type braids this is the finest designed braid. 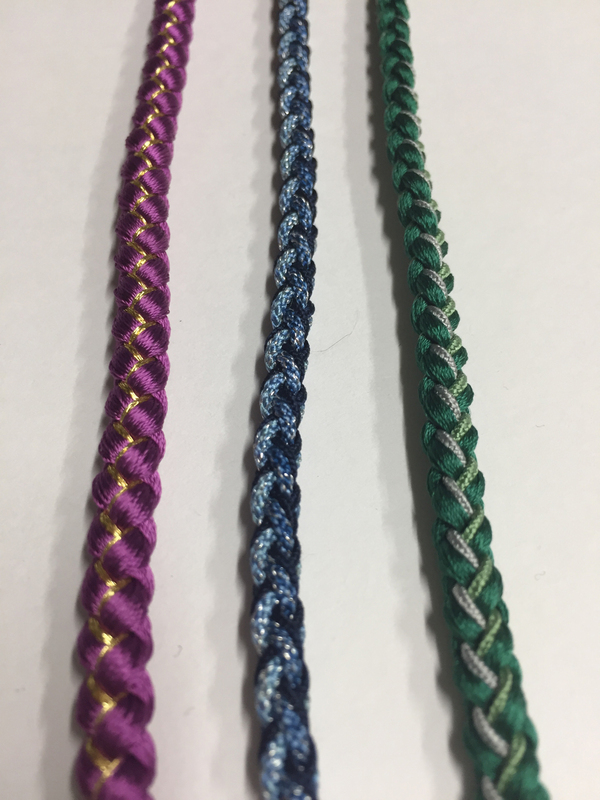 This braid is called "Karauchi." 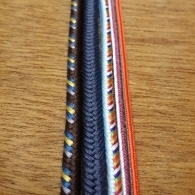 Characteristically, this braid is twice as detailed as the "Edo-himo" braid. 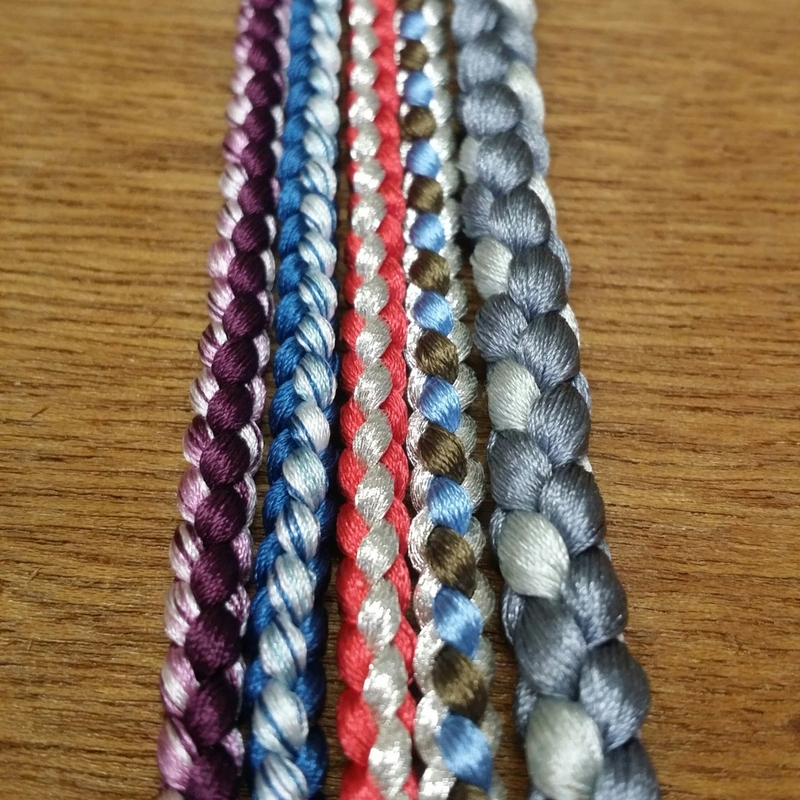 This braid is called "Kongou." 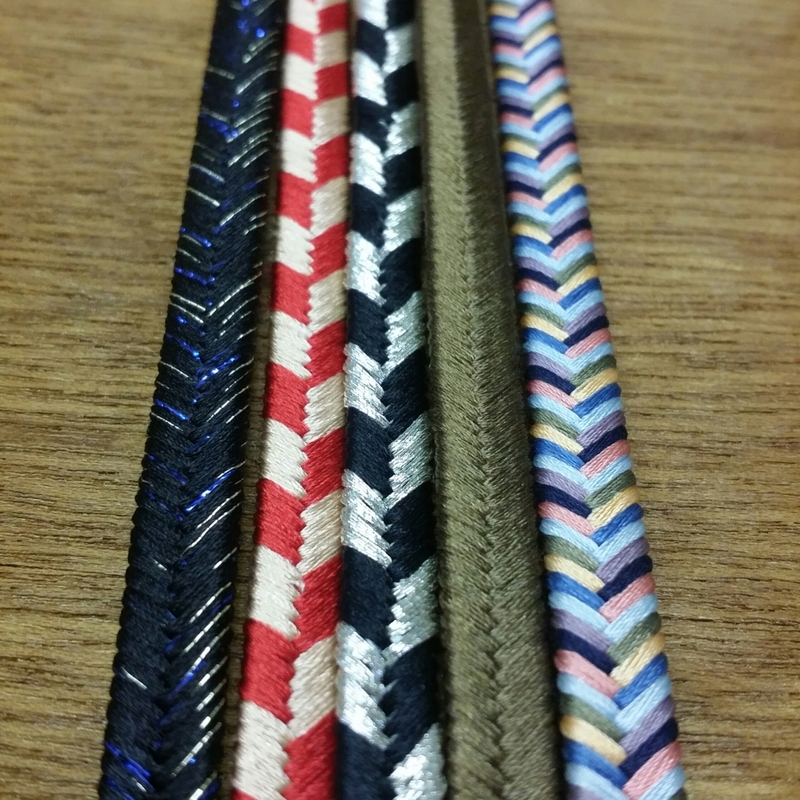 Amongst our company's machine-made, round-shaped braids this is the finest designed braid. This braid is called "Yotsugumi." 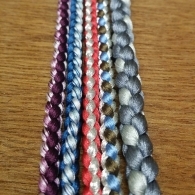 This braid is made of a half braiding of "Edo-himo", therefor, each braid is bigger and fluffy. Generally this is considered a "Edo-Himo" braid. 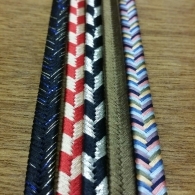 This braid can be made in various patterns, thickness, and styles. 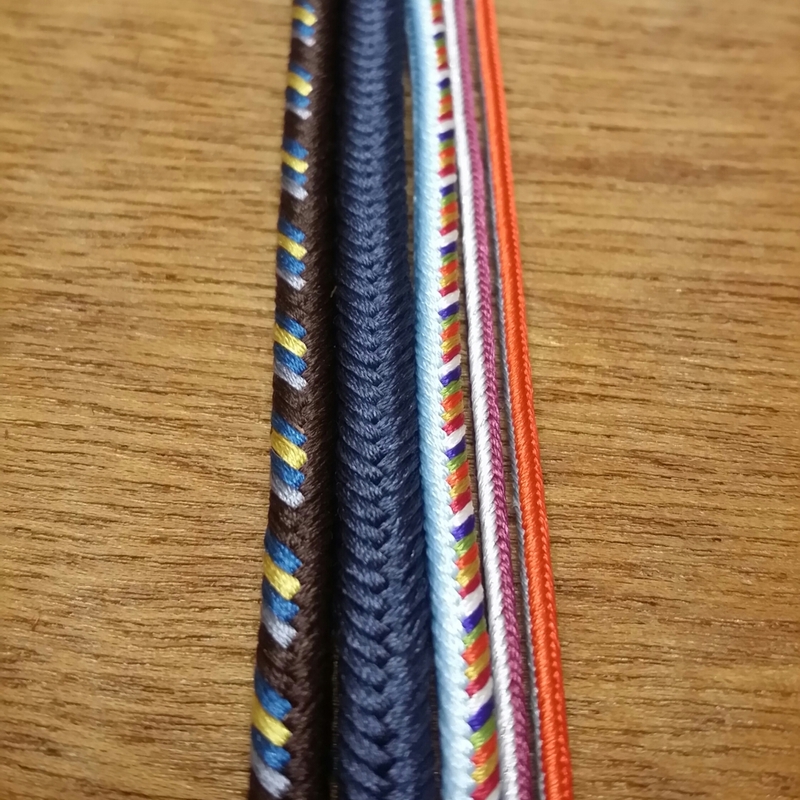 This braid is called "Tsuriyotsu." Characteristically it has a very slim and well tapered design. 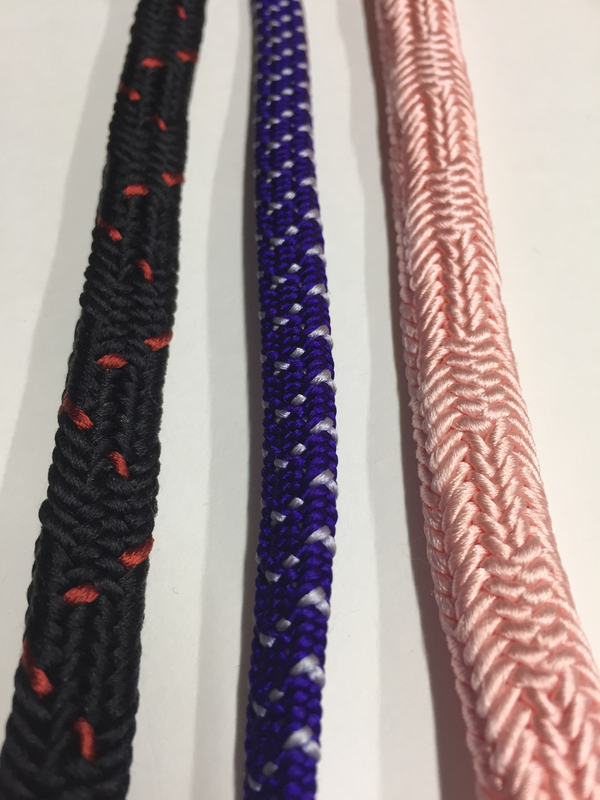 This braid is called "Kakusugi." 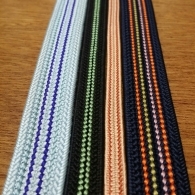 A characteristic of the cross section of the four cornered braid shows that each of the four sides are able to be made with incredible detail. This braid is called "Seigai." 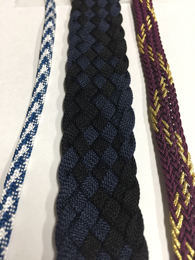 If you notice closely, we can make various designs into each of the braid's seams, but the surface of the braid will not become stronger.